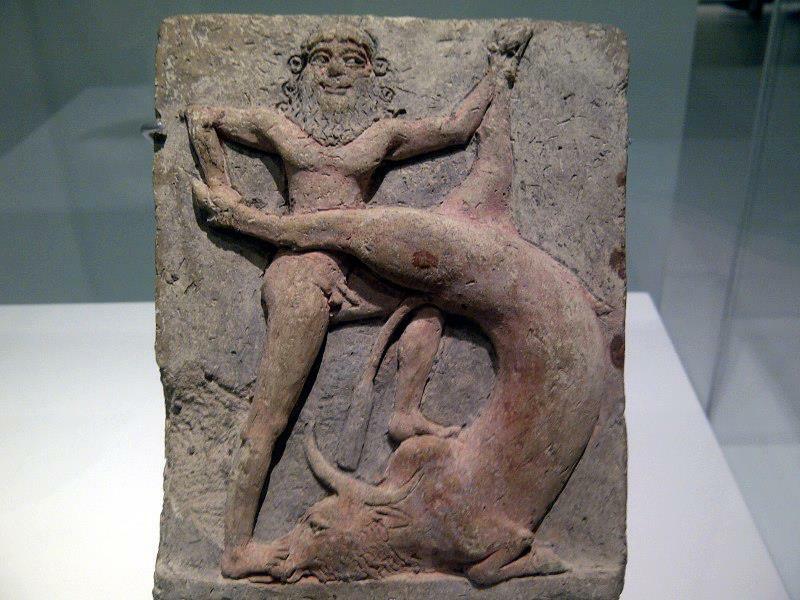 This is an image of Gilgamesh defeating Gugalanna the Bull of Heaven. This image gives the viewer a sense that Gilgamesh is man of superhuman strength, able to take down a bull with his bare hands. This relates to the image of the two bull men serving Gilgamesh because it shows how powerful he is, that even an animal as large and strong as a bull is no match for Gilgamesh and thus he makes them his servants.